Winter is a widely celebrated season, but unfortunately it can come at a high cost—literally. As anyone living in an area with chilly winters will know, when temperatures drop, electric bills begin to rise. While some would rather put up with a cooler home than pay the price for proper heating, others in more brutal climates may not be able to make this sacrifice. Luckily, there are a few things you can do to have your cake and eat it too. Here’s how to keep your home warm over the winter months without maxing out your electric bill. As much as half your home energy bill goes to heating and cooling. So, it would be wise to invest in your HVAC system during the season you need it most. Check your furnace’s air filter once a month, especially during heavy-use in the winter, and clean or replace it if it’s dirty. Dirty filters slow air flow, making HVAC systems work harder and waste energy. At the very least, your filter should be cleaned or replaced every 3 months. Sealing and insulating air ducts can also help improve your HVAC system’s efficiency by as much as 20%. Consider getting a professional tune-up of your HVAC system once a year to ensure it continues to operate at its best. This advice may seem pretty basic, but done properly it can make a huge difference. Sealing air leaks around your home is essential for keeping the cold out and the heat in. Leaks are pretty easy to identify by visual inspection and feeling the air around them, but here are a few places you might want to check. On the outside of your house, inspect all areas where two different building materials meet, including exterior corners, outdoor water faucets, where siding and chimneys meet, and areas where the foundation and the bottom of exterior brick or siding meet. On the inside of your home, inspect door and window frames, electrical outlets, attic hatches, vents and fans among any other places you suspect there may be an air leak. Apply caulk or weather-stripping to the necessary areas to close the leaks. Another way to save energy in your home is by keeping your attic well insulated. An improvement in attic insulation can result in as much as a 15% reduction on your electric bill. Proper insulation helps keep temperatures consistent in every room in your home, and combined with attic air sealing, it can even alleviate the formation of ice dams in the winter. To see if you need more insulation in your attic, just look across your attic. If the insulation level is just up to the top of the attic floor joists, you have less than half the recommended insulation level for most locations in the US. On the other hand, if you cannot see any of the floor joists because the insulation is well above them, additional insulation may not be necessary. While it’s fairly easy to check your attic insulation level, actually adding more insulation can be a challenging task. Fortunately, there are many qualified contractors who can help you get the job done. We recommend air sealing your attic before adding extra attic insulation for best results. Of course, you should set your thermostat to as low as is comfortable when you are home. However, you should set it even lower before you leave the house for the day. Turning your thermostat back 10° to 15° for 8 or more hours a day can save you around 10% a year on your heating bill. Moreover, keeping doors closed during the day can help you retain more heat in areas where you need it, and not to mention avoid a frosty welcome when you get home. 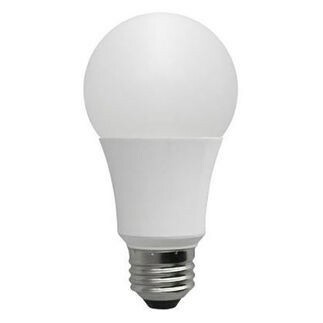 LED bulbs are the most energy-efficient, advanced lighting technology on the market. Many of them use only 20% of the power as incandescent bulbs with the same light output. If you haven’t already begun switching out your energy-guzzling incandescents for LEDs, this is the season to do so—especially when it comes to holiday lighting. LED Christmas lights can save more than 30% in energy costs over the course of their rated lifetimes. Check out our helpful posts on upgrading to LEDs and the advantages of LED Christmas lights to get started. For those not quite ready to make the switch, cheaper CFLs (spiral-shaped bulbs) are another energy-conservative option. Turning off lights and taking advantage of sunlight can help you save on lighting costs as well! After all of this, be sure to light up your fireplace, wear plenty of layers, and drink some hot chocolate to make your winter season all the more comfy-cozy. Do you have any more energy-saving tips for the winter? Let us know in the comments or on Facebook, Twitter, Google Plus, LinkedIn, Pinterest, or Instagram!